There’s no getting around it. The end of the year is near. If you’re like me, you have several goals you’ve been working hard to achieve throughout the year. There may even be some goals you’re scurrying to accomplish before the year ends. I’m right there with you. As we rush to check things off our lists, it’s important not to drive ourselves crazy in the process. Speaking from experience, being overwhelmed and acting like a crazed maniac is no fun. 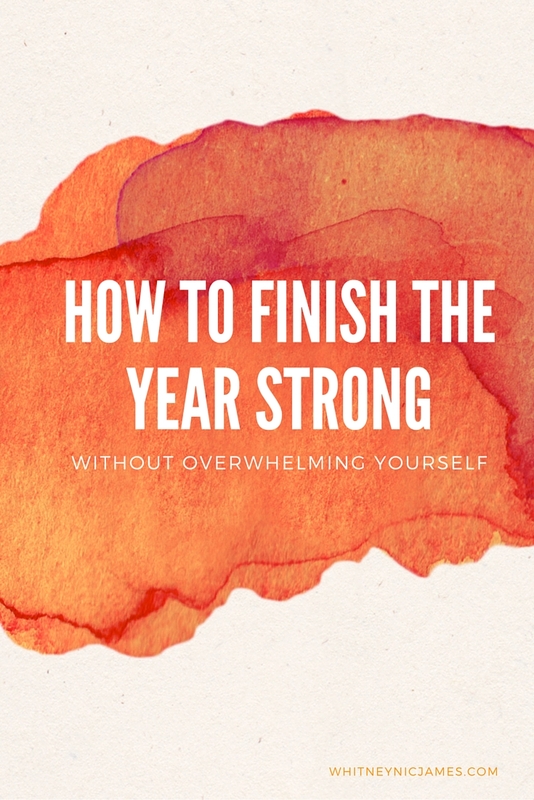 Here are a few tips on how to finish the year strong, without overwhelming yourself. Write it down. | I lead with this suggestion all the time when giving advice on how to be productive. You have to write your goals, ideas, and plans down on paper in order for them to become a reality. There’s something about seeing your plans on paper that makes plans that much more attainable. 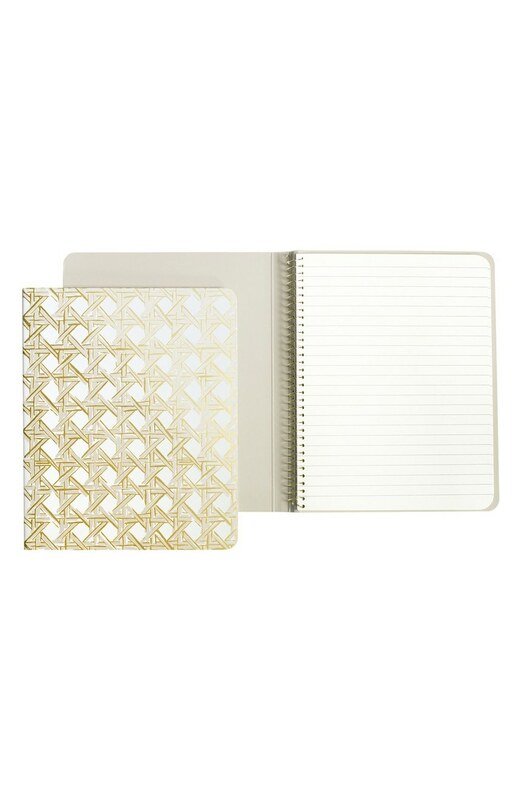 Grab a pretty planner, journal or notepad and start writing. Even if you just have ideas and no solid plan of action, write it. It’s better to brain dump and get it all out first, then figure out and create the plan of action. You may find that writing down these last few 2015 goals may have to wait until 2016. That’s OK. But if you don’t write it down and start thinking about it, you’ll never know. Figure out who you need. | Do you need a business or finance coach? Possibly an accountability partner or mentor? What about an intern or assistant? Not sure about you, but I’m at the point where I’m considering adding a few people to my team. In order to finish the year strong and ensure a successful 2016, I need a little help. No one can do it alone. With the blog growing and #FearlessWomanIam preparing to fully launch, I’m in the process of figuring out who (and when) I need to add to my team. Admitting that I need a little help to accomplish everything I have planned is a huge step. Never be afraid to ask for help and realize that in order to be successful, you need a solid and reliable team to assist you. Be realistic. | Setting realistic goals is a must during anytime of the year. If you’re setting new goals to complete by the end of 2015, be realistic. There isn’t much time left, so your end of the year goals should be short and concise. Maybe you have that last 5 lbs to drop before 2016. Very doable – create a plan and go for it! Possibly you want to re-design or re-arrange a room in your home. Use your calendar and lock in a (realistic) date to complete this task. 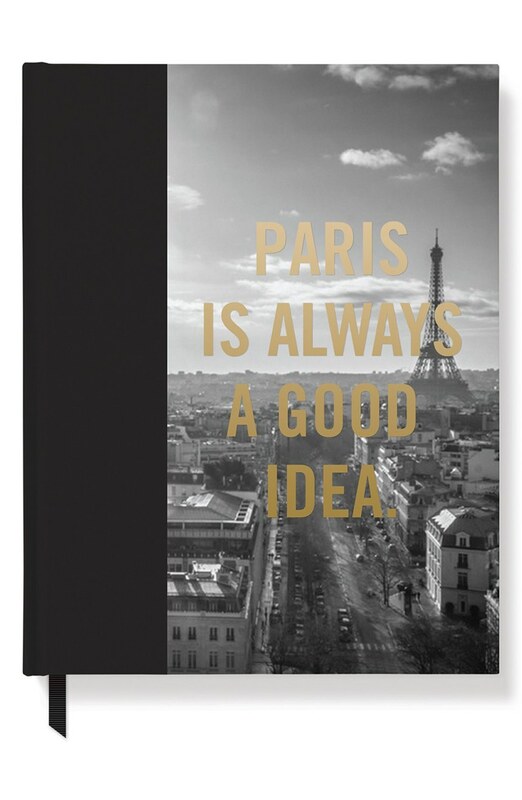 Jot down exactly what you’ll need to make this happen in a blank journal or notepad, pin a few images for inspiration, figure out what stores to visit and what you can maybe do yourself, and get to work. Don’t try to squeeze in too much. You can always start the process and complete it in the 2016. Some plans/goals do in fact require more time. Make your plans known. | Share your “last minute” goals with those around you. Going back to figuring out who you need – letting people know what you need in order to achieve a goal is a good thing. You never know what advice, tips or resources others may have to help you crush your goals. Protect your dreams, yes, but don’t hold them so tightly that you hide them from someone who can possible help make that dream come true. So tell me, any tips you want to share on how to finish the year strong? Any last minute goals you have before 2016 gets arrives? Let me know! Thanks for reading! Until tomorrow, be blessed and stay safe. The wait is FINALLY over – today is the day I reveal my 2015 vision board! 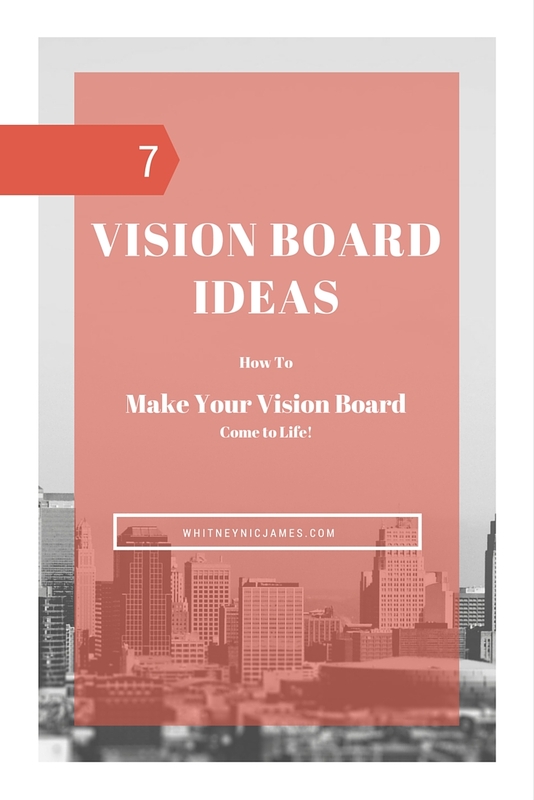 In the past I’ve shared some vision board tips, as well as my 2014 board. Last year’s board was extremely helpful in keeping me on track and on task. Thankfully, I was able to accomplish a huge amount of what I’d planned. I even accomplished some goals that I didn’t even include on my board. Literally watching my vision board “come to life” fueled the fire and I was determined to take my time in creating a very specific vision board for 2015. I’ve been asked several times why vision boards are important. We’ve all heard that seeing is believing, right? As a visual learner (my) vision boards serve as a daily and tangible check list. Seeing what I want to achieve through images and phrases has become vital for my success. I can talk about what I want to do and the plans I have all day, but without a physical reminder I’d be all over the place. 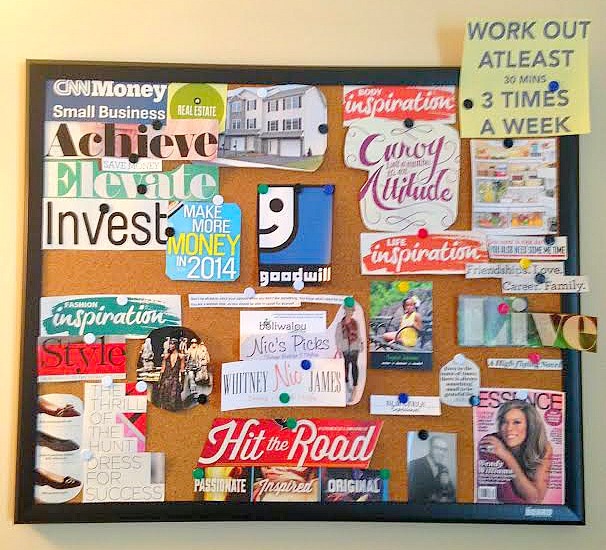 Vision boards are daily reminders to help keep you on track and on task. As I mentioned earlier, vision boards keep you on track and on task. These boards bring clarity to your vision. 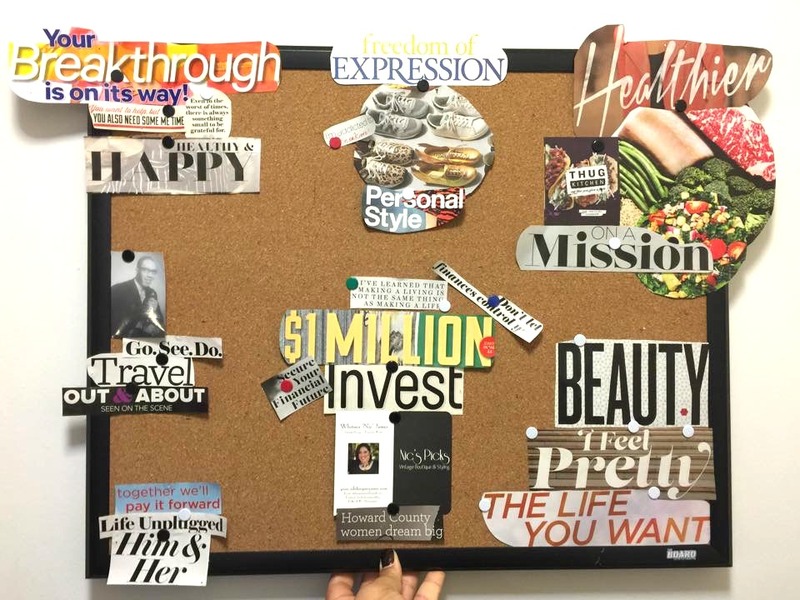 Writing your goals with pen and paper is a great start, but creating vision boards allow you to go deeper. Seeing your favorite quotes and powerful images on a regular basis get and keep you excited for what’s to come! Vision boards are also important because they reinforce your purpose. If you keep your board in a place where you look every day, you’ll have no problems remembering what you’re working towards. I still hang mine on the wall over my desk. I go in my office everyday so I’m forced to see it. This definitely helps reinforce and reaffirm my purpose daily. Reinforce and reaffirm your purpose on a daily basis by creating a vision board. So tell me, what’s on your vision board for 2015? Why do you think vision boards are important? Let me know! This year is moving right along and I hope you’ve all taken some time to think about your goals for the upcoming months. I’m very excited about my year and I hope my excitement has rubbed off on you. Stay focused, stay positive and remember that it’s never too late to start a vision board. Start today if you have to you! Until next time, be blessed and stay safe…XO!